Thermographic testing allows for the inspection of a large amount of electrical equipment in a short time, versus a labor-intensive approach of physically inspecting electrical components. 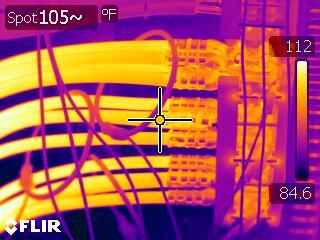 The thermographic inspection locates problems before they create an unscheduled outage, equipment damage, or fire. 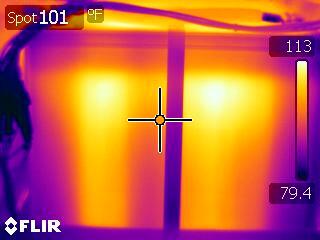 Facility engineers can avoid costly expenses by scheduling annual thermal imaging inspections. 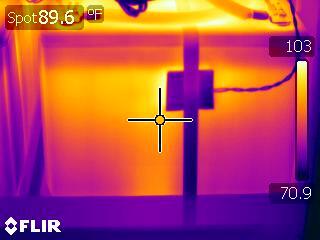 Data Environments, Inc.’s certified thermographers inspect electrical equipment under normal loads and operating conditions. Scanning the electrical system in ‘real time’ helps identify electrical component problems. Certified thermography inspectors employ a non-invasive process that allows a facility to remain online and prevent interruption of operations. The Data Environments, Inc. thermographic electrical inspection report is a management tool used to provide a condition inventory of the electrical system, and document electrical problems. We Make Sure IT Works! © 2019 Data Environments. All Rights Reserved.